Once the Province of Ontario softened up their liquor laws in 1946, Toronto came alive. This is when Toronto’s jazz scene really started to flourish. The city grew a large base where it became a regular stop on the Jazz tour circuit. 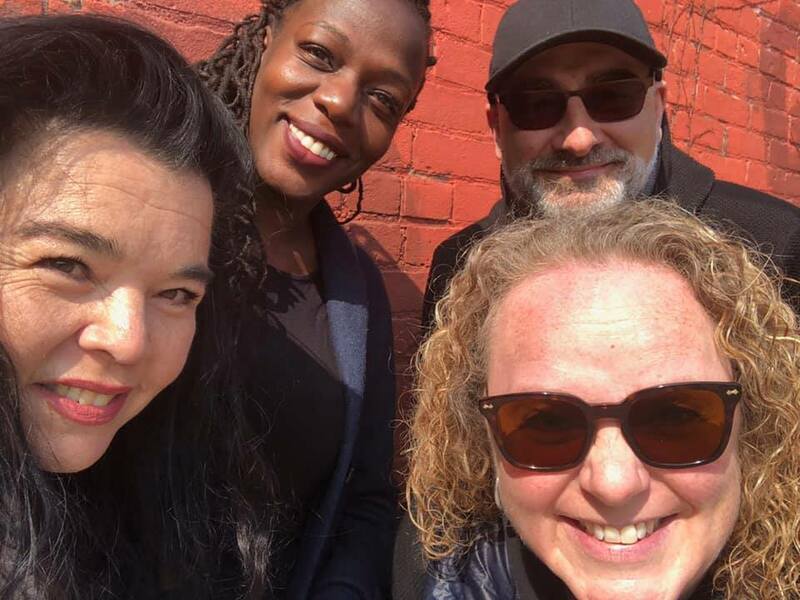 Jazzcast is a new venture in music, born from the creative brains of Dani Elwell, Garvia Bailey, Walter Venafro and Heather Bambrick. Garvia Bailey and Walter Venafro of Jazzcast.ca join Alan Cross about the Internet’s newest online radio station. Once the Province of Ontario softened up their liquor laws in 1946, Toronto came alive. This is when Toronto’s jazz scene really started to flourish. The city grew a large base where it became a regular stop on the Jazz tour circuit. Our downtown core got riddled with various hot spots where jazz would showcase it’s bright soul in grungy, smoky bars that would soon play host to the biggest names in the scene. Where exactly were the hot spots in Toronto? Toronto’s Rex is a prime example of one of the iconic Jazz mainstays. Since the late 80s, the venue has been the leader of the bubbling scene. It’s the retro-chic decor and casual atmosphere that accompanied the jazz echoing from the Rex stage. Originally built as a lounge extension for a turn-of-a-century-established Waverley Hotel, Silver Dollar rose in its share. The club quickly became a beacon for live blues music in Toronto. It allowed more than a half a century of culture to seep into its nooks and crannies. The club welcomed jazz favourites to bless their stage including Texas jazz saxophonist David “Fathead” Newman. He recorded live albums at the Dollar while the venue played cameos in 1980s movies Adventures in Babysitting and Police Academy. Originally constructed in 1957 as a lounge extension for the turn-of-the-century-established Waverley Hotel—the business with which the Silver Dollar continues to share its Harbord Village property—the Silver Dollar quickly became a beacon for live blues music in Toronto, and today it is both a staple that helps hold together a much thicker, more varied Toronto music community and a thoroughfare for touring musicians. “The Edge years added important ingredients to the Toronto music menu,” adds Andrews. “It forever enhanced the credibility of Toronto as a music centre, and inspired thousands to believe that contemporary music culture deserved respect and attention. Gary Cormier and Gary Topp made that club a beacon, and deserve credit for the music alchemy it enjoyed.” The same Gary Cormier that now programs shows for the Toronto Jazz Festival. Our world renowned festival had its modest beginnings. It was once actually a single night jam with local bands playing at Casa Loma. In July 1974, the travelling Belvedere King Size Jazz Festival, played Toronto at Varsity Stadium. A few years later, in 1979, Jim McHarg established the first Molson’s Jazz Festival, a weekend of local dixieland and traditional jazz bands at Habourfront. Great Jazz on the Lake in 1985 and 1986 brought together the Ontario Place and Harbourfront events, the second based at Habourfront alone. International Jazz Festival in 1985 and 1986. In 1991 it came under the aegis of the newly-created Toronto Downtown Jazz Society. Toronto has a jazz society? Yes, Toronto has a jazz society. Here’s a fun fact about the Toronto scene. The jazz society is Canada’s oldest, ongoing jazz society. It was funded in 1955 by fans of the music and the local scene. The volunteer society has never wavered from its mantra to excite, educate and engage. They share this with all members with the sounds and vibrant rhythms of jazz. What was it back in the early days of Toronto jazz? Jazzcast is a new venture in music, born from the creative brains of Dani Elwell, Garvia Bailey, Walter Venafro and Heather Bambrick. The team, driven by their music broadcasting and producing expertise, created Jazzcast as a hybrid of radio, podcast and on-demand music streaming and rolled it into one unique package that takes the best of all those worlds and leaves the restrictions behind. What the listener receives is a collaborative platform made up of artists and broadcasters; creating a truly interactive listening environment. Jazzcast is set up in such a way that users can really experience the music; not just consume it. The rollout of Jazzcast is happening in carefully planned stages. First, listeners clicked on a link via the website to access a variety of Jazz programming. In the last week, Jazzcast released their app on iTunes. An app for Android will be available in the near future. The founders and creators maintain a close relationship with the music community they support and were visible during the Junos festivities in London, ON last month. As with any start-up, Jazzcast is appealing to listeners who like what they hear to help fund Jazzcast via a Patreon campaign. 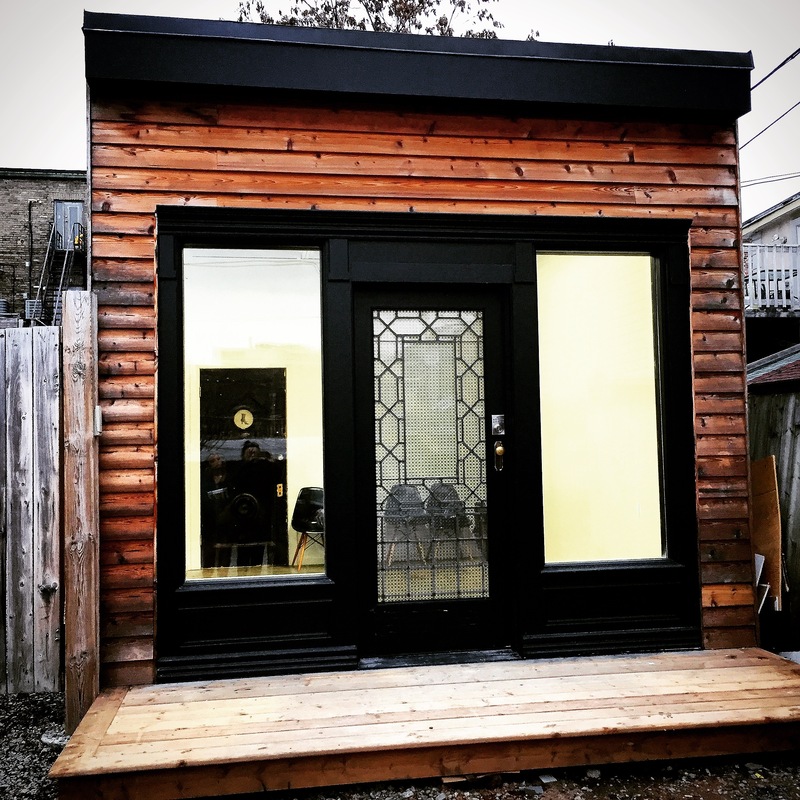 All of the content is either created or broadcasted from the Jazzcast studio – a rustic-modern renovated space tucked into a cozy neighbourhood at Ossington & Argyle; just Southwest of Little Italy and Trinity Bellwoods Park in Toronto. Close enough to the formerly trendy bars and restaurants, but just off the beaten path to be authentic. Jazz is a genre that appeals to the masses. It is varied enough to have something for everyone and every mood. I find it a great background to listen to while working. In fact, my Jazzcast app is playing right now as I type. Juno-nominated vocalist Heather Bambrick who has worked with some of the best ensembles in Jazz. Her resume of voice-over work is extensive and she’s also a veteran broadcaster. Composer and Juno-nominated musician Rich Brown will produce a weekly show for Jazzcast listeners who want to find out about the latest and greatest in Jazz today. Brendan Canning from Broken Social Scene will educate listeners with his knowledge of and experience in the music scene. New York jazz trio Duchess will provide regular content for Jazzcast listeners via their “Harmony and Hijinks” podcast, which provides insight and inspiration into the creative minds of our time. Celine Peterson will lend her voice to Jazzcast, broadcasting a weekly show highlighting music and stories from her life. The show is called “No, I Do Not Play Piano (Music I’m Growing Up To)”. In this week’s episode of the podcast, Alan and Michael chat with Garvia Bailey and Walter Venafro to talk about this start-up venture and what their plans are for the future of Jazzcast.